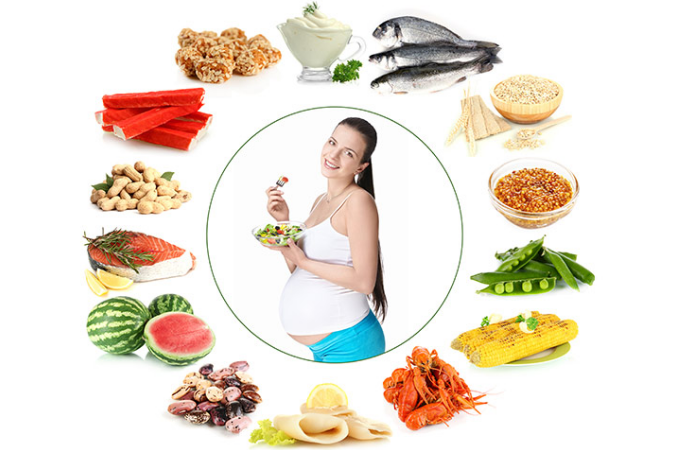 Diet becomes extremely important when you are pregnant. You might even find it hard to have your diet right because of pregnancy symptoms, such as morning sickness, food aversions, fatigue and/or increased hunger. During pregnancy, you may even not find you interested in cooking. However, you can still enjoy your food by following some basic points. Majority of women during pregnancy prefer to cook large amount of meals so as to store the extra cooked meal in the freezer. The meal then consumed for 2-3 days or even more depending on the quantity you want to cook. However, many women don’t like the idea. Only thing that you can do is to keep a vegetable soup in the fridge or freezer so that whenever you feel hungry you can have it rather than waiting for a snack. During pregnancy women often find them exhausted after doing a smallest of work. So, preparing a quick snack may not be a good idea for them. Better to have vegetables, fruits and sandwiches in your refrigerator so that whenever you feel hungry you can have an easy access to all these ingredients. For those pregnant women who like tossed salads, it is a good idea to vary the ingredients each week to just for a change. Keep rotating the vegetables such as olives, onions, tomatoes, cucumber, radishes, sprouts, carrots and salad toppers including cheeses, nuts and seeds. Made a salad for a week and store it in the air-tight bowl to keep the ingredients fresh. If you are lucky enough to have a slow-cooker (crock pot) then you can easily manage your dinners. Simply prepare some crock pot recipes of your liking and store them in a refrigerator so that you need not to turn to junk food for your dinners. You just need to toss in some ingredients in the morning for the days when you feel that you won’t get time to cook. During you may not able to cook every so often, so you need to plan things sensibly. Make sure that you make the common family favorites extraordinary with little effort. For instance, if you have daughter who enjoys eating macaroni and cheese, simply adding some frozen chopped vegetables to the noodles will bring some change in the menu. Same technique can be used for spaghetti, casseroles and lasagna. If you feel the need, you can also serve the salad as well which you have already preserved in refrigerator. It is also important not to buy too much of fruits and vegetables because you cannot preserve them for long time. Only buy reasonable amount of vegetables and fruits that you can consume before they begin to spoil. Always use sealed bags to keep your vegetables and fruit fresh for few weeks. Having a good stock of these items in home will save a lot of your energy and time during pregnancy. A good way to cook quickly is to learn cooking in microwave. You can cook vegetables and grains in microwaves within few minutes. Also, you can steam vegetables or even cook oatmeal in minutes using a microwave. Eat healthy and enjoy your pregnancy.